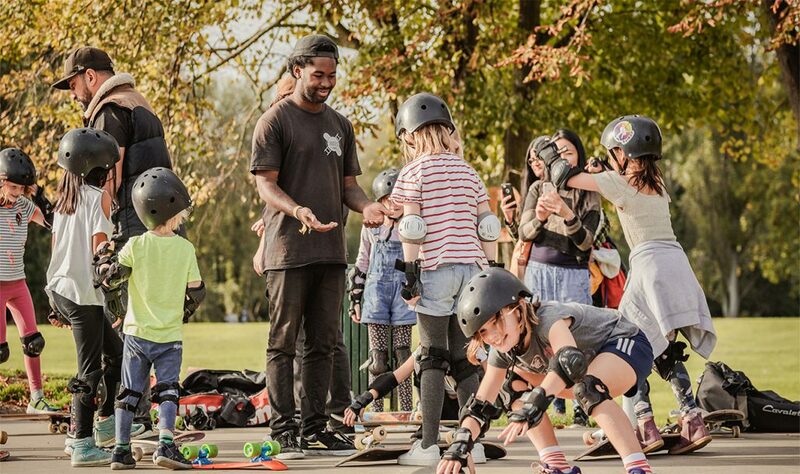 We are Skates and Ladders, the fastest growing all ages Skateboard, Longboard and Penny Board lessons company in the UK. 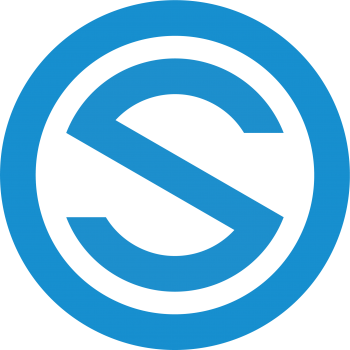 Skater owned and run, our mission is to make learning skateboarding easier, more enjoyable and accessible to everyone. We work with schools, local councils and the Royal Parks of London and take great pride in providing quality tailored tuition for all ages and levels offering both private and group lessons, after-school clubs as well as birthday parties and corporate events. All Skates & Ladders instructors are First Aid qualified and DBS (formerly CRB) certified with years of expert knowledge. Convenient lessons which work around your schedule. The Skates and Ladders team were incredibly cooperative and made organising lessons hassle free. 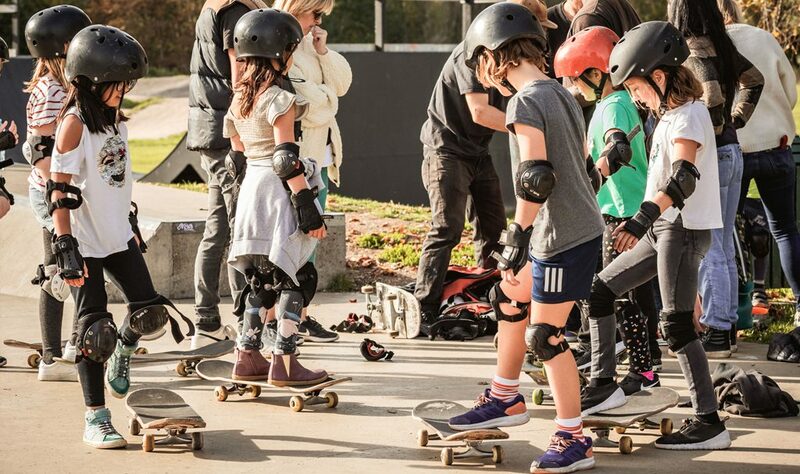 We were able to organise our lessons at our local skatepark so we didn’t have to travel far. My 12 year old Son’s instructor was super friendly and patient and helped him to improve his abilities on his skateboard much quicker than I anticipated. Most importantly, my Son had lots of fun. My friend told me about your lessons which she had bought for her son, so I thought that it would be a good idea to book some lessons for my boy, and we haven’t looked back since. Tom is always super excited for his lessons and always has a grin from one side of his face to the other after every lesson. Friendly instructors and fun lessons. Tom has a new found love for skateboarding and is always asking me when the next lesson is. A big thank you to the Skates and Ladders team. I tried using Youtube videos to teach myself how to skateboard, but the difference of actually having someone there with you to guide you through what you need to do and pointing out your mistakes to you makes a world of difference. I have improved loads since I began my lessons with Skates and Ladders. The instructors clearly have a vast knowledge of skateboarding and they are able to tailor the lessons around you and what you want to learn. If you are interested in just learning to get from A to B or whether you want to learn tricks, these are the guys for you. Even after 6 lessons, the kids can’t seem to get enough. They keep asking me to book them more. The kids are having an absolute ball! They are progressing so fast and are still interested and keen to learn more. I haven’t seen the kids so dedicated and focused before. Thanks Skates and Ladders, you’ve made me a very proud Mum! My daughter can’t get enough of her skateboarding lessons. She is keen to learn and is having lots of fun. Skates and Ladders introduced us to the growing girls skateboarding community out there and it has made my daughter feel really comfortable with her new hobby. 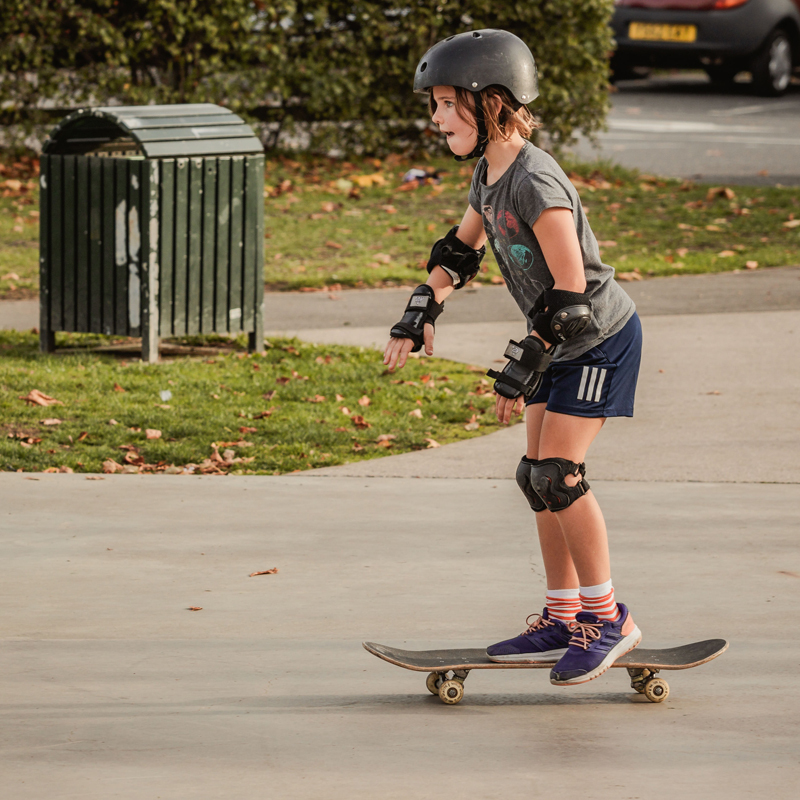 She has realised it isn’t just a sport for boys, she is even showing a couple of the boys at the skatepark a couple new tricks. I bought my daughter a Penny Board for Christmas and I booked her some lessons with Skates and Ladders and now she isn’t afraid to hop onto to her Penny Board. It’s a great way for her to go to and from school. Thanks for getting her going guys. You’ll be surprised how much you can learn in just one lesson! I learnt how to go up and down ramps by myself and I also learnt some cool tricks too. Very happy with my lesson. Thanks Skates and Ladders. I booked a joint lesson for my two boys, one of whom had skateboarded before. I was unsure of how the lesson would work with the two of them being at different skill levels, but despite my concerns, their instructor was able to give the both of them clear advice on how to improve their abilities at their own pace without my youngest, who hadn’t skateboarded before, feeling left out. The kids looked to both be having a lot of fun in their lesson and have been practising in their own time. They seem inspired by their instructor! Since booking lessons with Skates and Ladders, I now feel confident on my Longboard and I have also began to start getting comfortable with doing a few tricks too. It’s also been great having them come near me, as I don’t have any skateparks in my area I was worried they wouldn’t teach near me, but fortunately they were able to come to teach at the local park which had a nice smooth flat ground. Super friendly and reliable service. 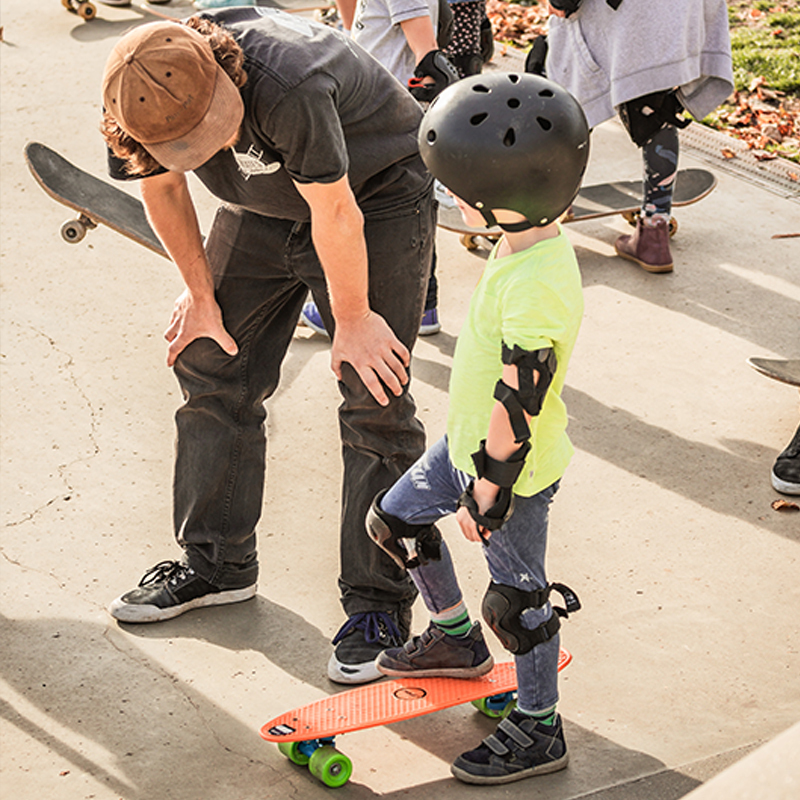 My son is quite shy and for him it can be quite intimidating to go to the skatepark with all the big boys; but his instructor really helped him to start skateboarding confidently. Not only is he now riding comfortably on his skateboard, but his general confidence has improved greatly. Thanks guys! I booked my friend Sarah and I a joint lesson, and we had such a fab time! We were complete novices before our lesson. Now we’re both feeling comfortable on our boards and have been getting out to the park for our weekly skate together. Lots and lots of fun. Thanks Skates and Ladders! Fantastic lesson! Fantastic instructor! I’ve been so happy with Julian’s progress. The level cards really helped him push his abilities. His instructor told me that when he asked Julian if he was happy with his progress, he said yes but that he needed to complete the next level now! I was so pleased to hear Julian’s determination to improve and push his abilities. The lesson cards are a brilliant idea and it’s great to be able to have something to take home at the end of the lesson to show the progress that is being made. It’s been great for Julian’s confidence and he is having lots of fun in his lesson. We both can’t wait until his next one.